Two simple yet chic long necklaces featuring butterfly charms that we bought from Australia during our last visit. 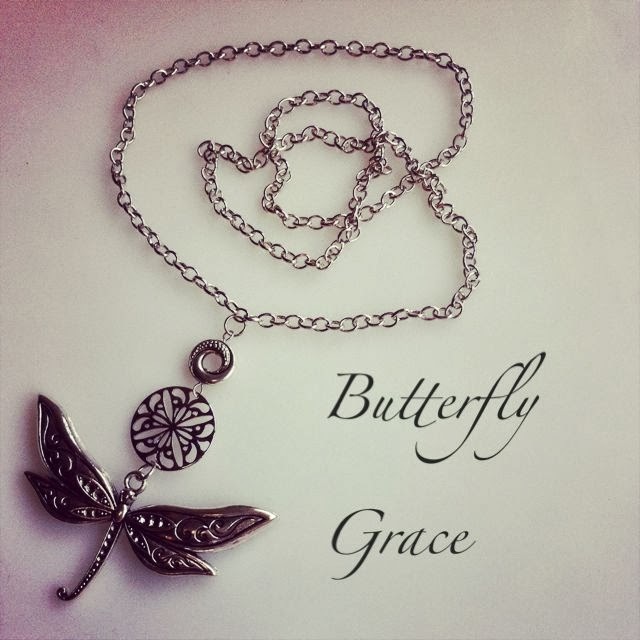 Made from silver butterfly charms of various sizes, silver chain and findings. 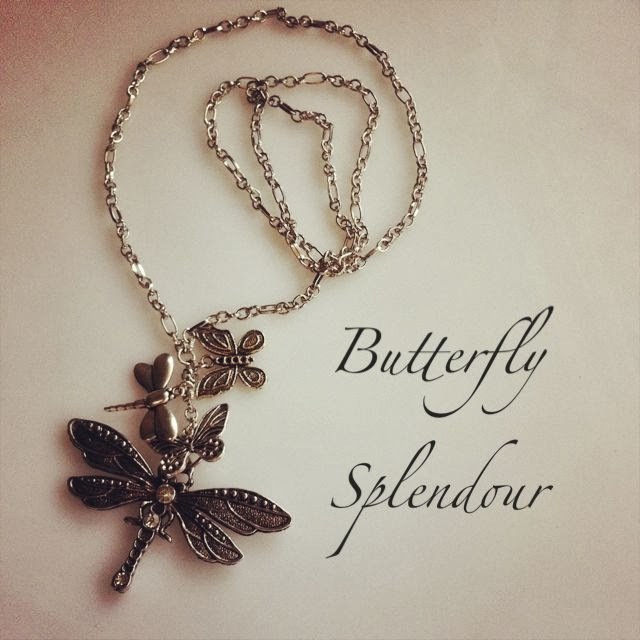 Made from large silver butterfly charm, silver swirl connector, large round silver connector, silver chain and findings.